Love does not traffic in a marketplace, nor use a huckster's scales. Its joy, like the joy of the intellect, is to feel itself alive. The aim of Love is to love: no more, and no less. You were my enemy: such an enemy as no man ever had. 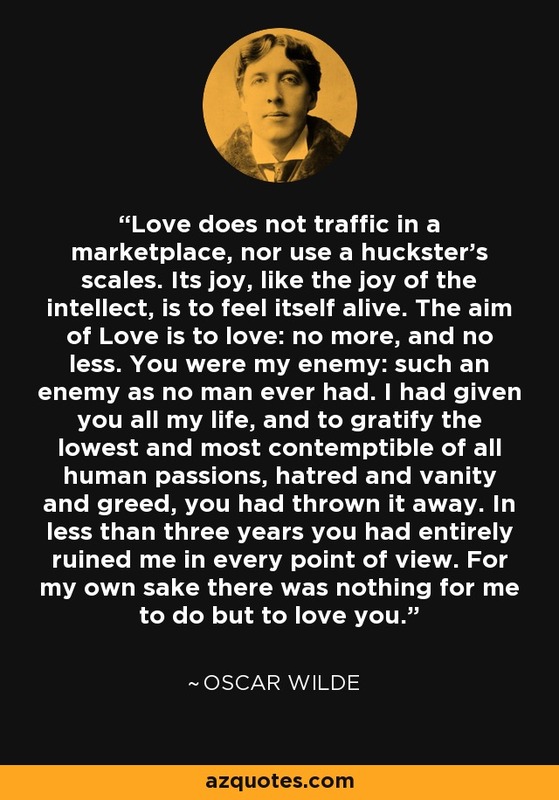 I had given you all my life, and to gratify the lowest and most contemptible of all human passions, hatred and vanity and greed, you had thrown it away. In less than three years you had entirely ruined me in every point of view. For my own sake there was nothing for me to do but to love you.